Hello Alumni, fall is here again. This season always reminds us of football, cross-country and other sports, so take a moment to reflect and reconnect with those friends who share your memories. Read on to find out about some of the exciting changes that have been made to the site. 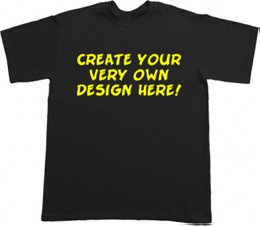 Create your own custom shirt! An awesome new feature has been added for creating your very own custom school t-shirts and sweatshirts, or any other type of design you want. Family, pets, work, sports, get creative! Create a shirt and then order it through the site. Custom Survey Builder - Create a customized survey containing multiple questions for your class (or all classes), and then watch the results pour in. This is a fun way of revisiting memories, and can also be VERY useful for reunion planning. Go to your class homepage to access this tool. New Class Surveys - An interesting new survey has been posted for all classes, please complete it. Visit the new surveys area which is accessible through your class homepage to take this survey. Custom T-shirts/Sweatshirts - Let those creative juices flow freely, and design a t-shirt with this awesome tool. After you've created the design, you and your classmates can order it through the site! Click here to try this out.